Grit is defined as firmness of mind or spirit - an unyielding courage in the face of hardship. 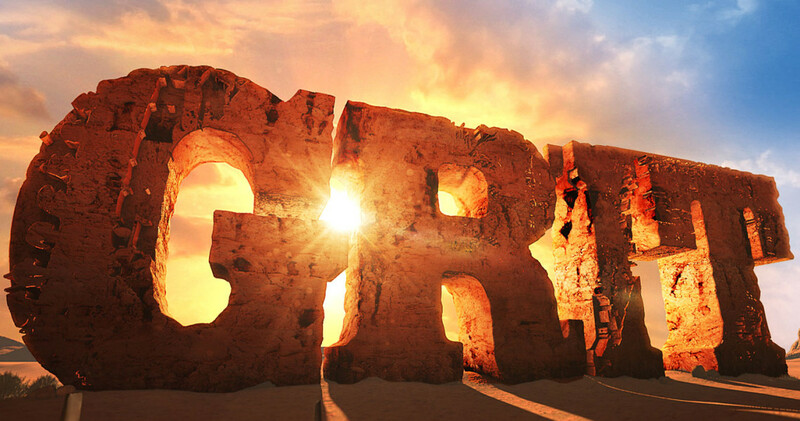 The career world is changing so fast that grit has also become a sought after competency for hiring and a necessity for entrepreneurs and innovators. The emerging research indicates that grit can determine success or achievement far better than grades, credentials or professional pedigree. Linda Kaplan Thaler and Robin Koval authored the national bestseller, "Grit to Great" and I heard them speak at the Indiana Conference for Women recently about why grit matters and how it can empower you in life and career. One of the best things about grit is that you need not be born with it. Grit can be developed. Kaplan Thaler and Koval wrote about how "...the whole self-esteem movement has been a flop, undermining the natural grit that this nation of immigrants brought with them in building a new life in a new land." Giving every kid a trophy for merely participating in the game has created a culture of mediocrity and lackluster achievement. Outstanding accomplishment comes from relentless commitment, courage and stamina to overcome obstacles, which blows mediocrity out of the water. The "Grit to Great" authors developed a GRIT acronym to illustrate how to hone your personal grit and move from good to great. Guts - it all begins with the courage to take on new and tough challenges. Honing your confidence to take on a calculated risk and not waver in the face of adversity. It's about being daring without being reckless and declaring your intention to triumph, even when it appears daunting. Resilience - failure happens but gritty people know how to recover from failure and become stronger. Kaplan Thaler and Koval call this elasticity. It's what makes you follow the opportunity down the unknown path and it's your ability to re-route and pivot in order to achieve the end goal. Initiative - leaders are often judged by their ability to take initiative and action. Skill leveraged with effort leads to achievement. Don't get stuck in the dream or ideation phase - start doing something that will take you towards the end goal - NOW. Many people get stuck in the visioning phase and don't activate the plan to move forward. Tenacity - be relentless about staying focused on the goal. The route to the goal will most likely change but being industrious and determined is essential. Great accomplishments take time. Malcolm Gladwell's posit that it takes 10,000 hours to become an expert in any competition from violin to basketball has merit. Overnight success is rarely achieved and the tenacious are prepared for the long and winding road. While the end goal may stay consistent (or not) the route to get there will most likely change. Gritty professionals are adaptive and flexible and willing to change course if it helps them move towards the goal. Kaplan Thaler and Koval told a great story at the conference about the iconic movie, "Jaws." Plan A was to feature the ferocious shark prominently throughout the film with the giant mechanical beast poised to scare the daylights out of each audience member. The mechanical shark proved to be extremely problematic during the filming - not to mention being over budget and past schedule. A gritty Steven Spielberg as director made the decision to suggest the shark's presence with the ominous and minimalistic theme music created by composer, John Williams. Think back about how seldom the shark is actually seen on screen but the anticipatory effect made by the music was brilliant. Now considered one of the greatest films ever made, Spielberg's gritty resourcefulness, tenacity and initiative has kept "Jaws" in the film spotlight for 40+ years. •	Become an over-preparer - practice, prepare and think of all the angles so you are ready for the unexpected. •	Get the gig - leverage your strengths and muster your confidence to push yourself into exploring uncomfortable opportunities. •	Go the extra thirty minutes - identify your most productive time of day and put in an extra 30 minutes during your unique and effective sweet spot time. •	Stop dreaming and start doing! •	Get rejected - a lot! You will grow from taking these chances and learn from getting knocked down and surviving. Rejection can be an impetus to working harder than you ever thought possible. If developing your grit factor is daunting, that's a good thing. Being gritty is not for everyone and only you can determine if grit is in your future. Going from good to great requires a lot of hard work but it can start with small and incremental changes. Kaplan Thaler and Koval ended their talk with the story of Navy Seals starting out in basic training. On the first day of training, each new Seal was taught to make their bed and to take great pride in that seemingly simple act. Making your bed starts your day with an accomplished task and sets you up for success throughout the day. Whether you are a Navy Seal, an emerging leader, entrepreneur, or a seasoned professional - you will be faced with daunting tasks in your day and throughout your career. How you navigate those challenges and activate your grit is entirely up to you. Caroline Dowd-Higgins authored the book "This Is Not the Career I Ordered" now in the 2nd edition, and maintains the career reinvention blog of the same name. She is Executive Director of Career & Professional Development at the Indiana University Alumni Association and contributes to Huffington Post, AOL Jobs, Ellevate Network, and The Chronicle newspaper in Indiana. She hosts and produces an online show called: Thrive! about career & life empowerment for women on YouTube. Caroline also hosts the international podcast series Your Working Life - on iTunes. Follow her on Facebook, LinkedIn, Google+, and Twitter.